1. When I started working with lean it used the BasicTemplateFrameworkAlgorithm from QuantConnect.Algorithm.CSharp.dll. If I create my own Algo shoud it be placed in the same folder? What goes into Alpha folder? 2. 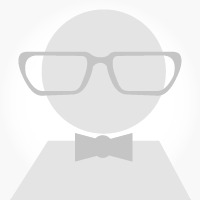 How do I move my new algo (let's say I created MyNewAwesomeAlgo.cs) to QuantConnect site for backtesting? 3. When I launch algo live will it work off real-time tick data? I really like what I see so far. Thanks! 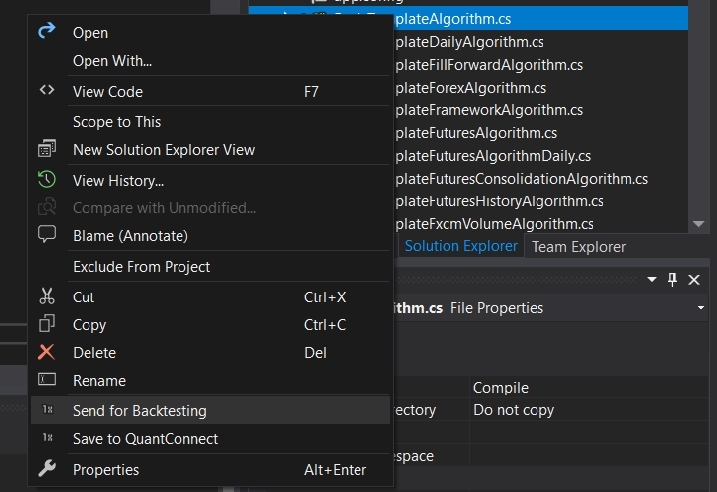 I would recommend placing all the algorithms you develop locally in the QuantConnect.Algorithm.CSharp project and QuantConnect.Algorithm.CSharp namespace. Your framework models could also be placed along with Lean/QuantConnect framework models. Alternatively, your framework models can be in the algorithm code file. Thanks, I will build a basic algo today and try to upload it for backtesting. Can you also provide more info on Alphas folder and what is alphas in general? Also, is backtesting available with tick data? Please take a look at the documentation on Algorithm Framework. Yes, backtesting is available with tick data. However, tick data is timestamped to the second. That means that all thicks that belong to the same second will arrive at OnData (or Update in an Alpha Model) together as a list.